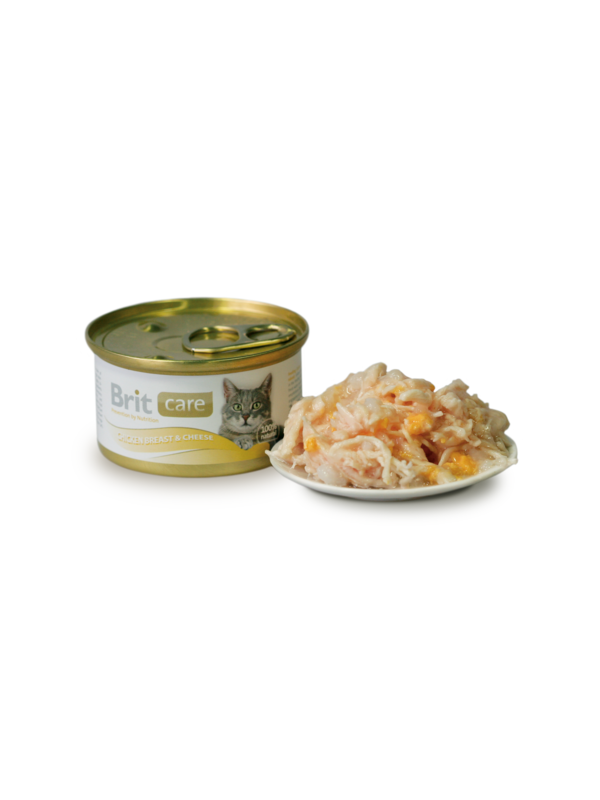 A hypoallergenic and easily digestible natural product, providing high tolerance of the food and limiting the occurrence of allergic reactions and food intolerances. This product does not burden cats’ organisms. Produit naturel hypoallergénique et facile à digérer. Cette alimentation offre une grande tolérance et limite l'apparition de réactions allergiques et les intolérances alimentaires. Ce produit n'alourdit pas l'organisme du chat. Composition: chicken breast 42%, cheese, rice, water. Follow recommended daily allowance shown in the feeding table. Ensure there is always a bowl of fresh water available, serve at room temperature.